The Eco Committee have been busy this term. On Friday 22nd March we took part in the Great British Spring Clean, becoming Litter Heroes. As one of our aims is to tackle litter so we spent the afternoon in Churchfields Gardens trying to make the area better for everyone to enjoy. During our litter pick we filled over five bags of rubbish. 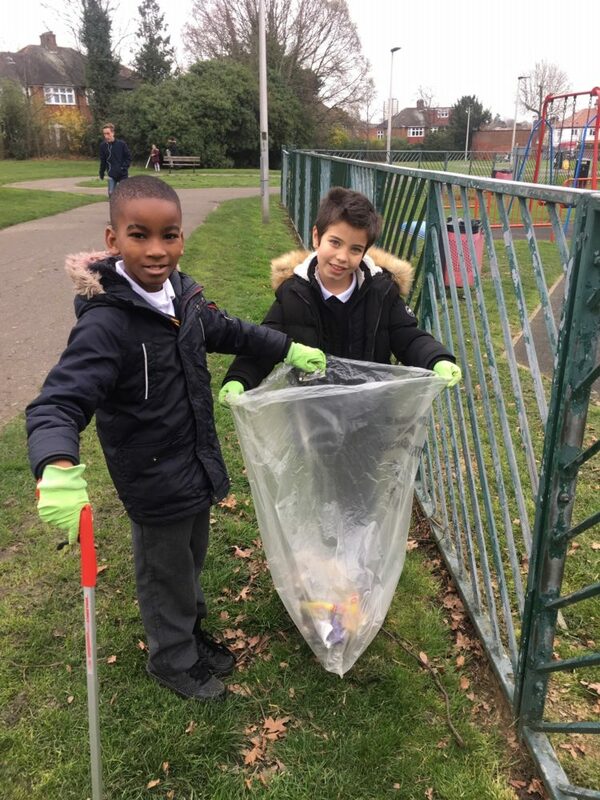 Everyone was amazed to see how much litter we picked up, and the Eco Committee took pride in making the community a better place. Our ‘litter agents’ are also busy in school ensuring everyone disposes of litter correctly. We look forward to our next outing making Churchfields better for everyone to enjoy. Also a big thank you to all of our parent helpers!